If you’re planning an escape to the Derbyshire countryside sometime soon, look no further than Derby. Great for a cultural break and perfect for exploring the nearby Peak District, Derby has so much to offer and it’s all just waiting to be discovered! Here at JC Hotels, we are home to one of the leading hotels in Derby and also one of the leading cocktail bars in Derby which is perfectly situated so that you can relax in style after exploring the local area. Located in the charming village of Littleover, Littleover Lodge is a former 1850s picturesque farmhouse which is home to a fantastic a la carte restaurant, gastro bar menu, carvery and much more to make your stay as enjoyable as possible. 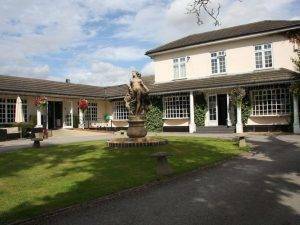 Whether you’re looking for hotels in Derby for a romantic weekend away, you’re meeting colleagues for business, or you simply fancy escaping for a few days with the family, Littleover Lodge is a perfect choice! In addition to exploring the charming village of Littleover, we are situated within close reach of popular attractions such as the stunning baroque grade 1 listed house, Calke Abbey, the must-see Derby Cathedral, Alton Towers, and the beautiful Peak District. For anyone with younger children, we are also close to Highfields Happy Hen, an open farm set which allows you to get up close with pygmy goats, chicks and much more! There’s plenty to do for all ages during your stay at our hotels in Derby! When it comes to hotels in Derby, Littleover Lodge has everything you need for a comfortable stay; with contemporary decor throughout, modern amenities, breakfast included with your stay and a variety of dining options to suit all tastes and budgets, everything you could possibly need really is under one roof. If you would like to find out more about our hotels in Derby, then please do not hesitate to get in touch with a member of our friendly and helpful team.